Researchers at the University of Michigan have devised a piece of software that offers the pressure sensitivity you get with an iPhone 6S on any kind of smartphone - all without the need for extra hardware or peripherals. 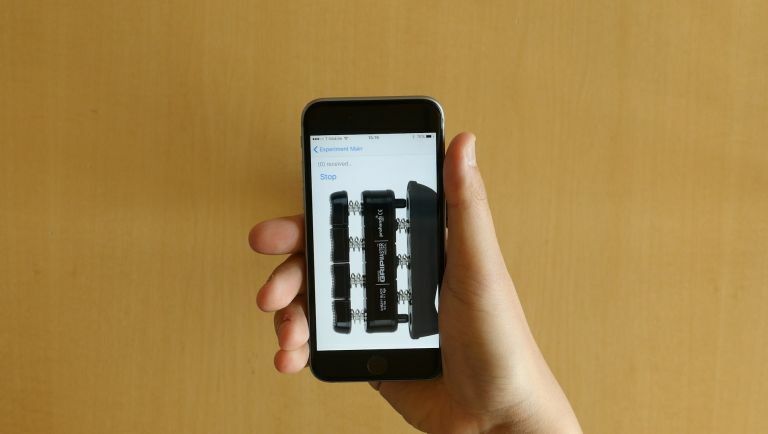 The new software, ForcePhone, makes this feature possible by taking advantage of two of your smartphone's elements - the speaker and the microphone.The software sets the speaker to send out an inaudible tone at a frequency higher than 18 kHz, which sits outside the range of human hearing. ForcePhone then uses the phone's mic to pick up the vibration caused by the sound. When you press on the screen or squeeze the phone's body, that force changes the silent tone. The phone's mic picks up on those changes, with ForcePhone translating any tone tweaks into commands. "You don't need a special screen or built-in sensors to do this. Now this functionality can be realized on any phone," says Kang Shin, the Kevin and Nancy O'Connor professor of Computer Science in the U-M Department of Electrical Engineering and Computer Science. "We've augmented the user interface without requiring any special built-in sensors. ForcePhone increases the vocabulary between the phone and the user." Shin designed and built the software with Yu-Chih Tung, a doctoral student who works in the same department. "I think we're offering a natural interface, like how you turn a knob," adds Tung. "It's the next step forward from a basic touch interface and it can complement other gestured communication channels and voice." While it isn't quite ready for commercial use, its creators will show off the ForcePhone on 27-29 June in Singapore at MobiSys 2016.